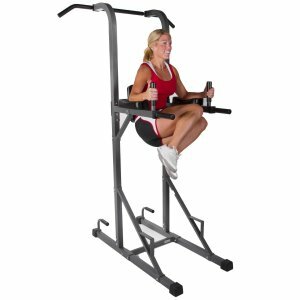 The XMark XM-4434 Power Tower with dip station and pull-up bar is the perfect way to improve your upper body and core strength. Just like squats for the lower body, pull-ups are one of the best exercises to improve overall strength and muscle tone. With the XMark Power Tower you can do a range of exercises to target these core areas. The XMark has a range of positions so you can work on the muscles that you want. It comes with dip handles with rubber grips for all your dipping exercises. It also has both a narrow and wide grip pull-up bar. 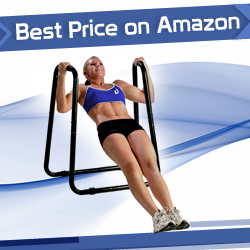 It features back and arm cushioning for your vertical knee raises and also has push-up handles with rubber grips.